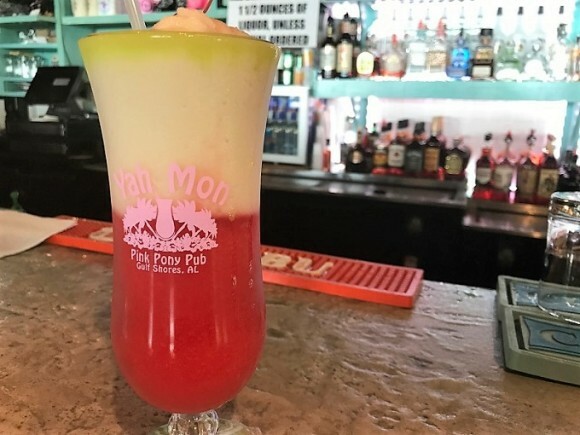 Since 1956, The Pink Pony Pub has been the place for family fun, fresh Gulf shrimp, aged Angus steaks and the best tasting cheeseburgers on the beach. You can sit indoors and soak up the A/C on a sun break, or bask on the weathered wooden deck looking out over the surf. Flip flops and bikinis are always welcome. Children are always welcome, too, at least until 9pm, when live music or karaoke typically start. Visit us today to soak up the ambiance and try our delicious food and specialty drinks.